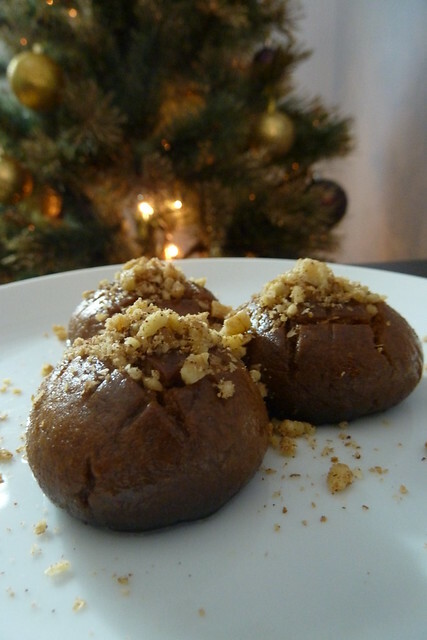 The word should not concern you however – just call them Christmas Honey Cakes or some such. The taste is a LOT more important. Basically, unless there are melomakarona or kourabiedes (don’t ask) somewhere about the house, it’s probably not Christmas. 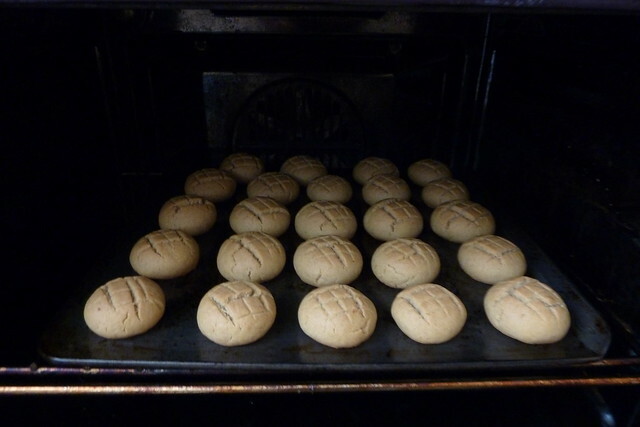 The recipe is by Katerina and I did a video of it – I know, it’s all Greek to you. I’ve translated the recipe below and added some comments that should help you out. 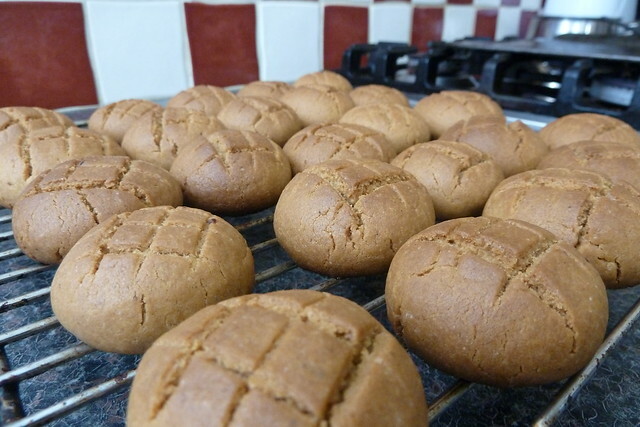 Do try making them – they are absolutely divine and go down a treat with tea or some Greek/ Turkish coffee. Combine 1 kilo flour with the baking powder and sift into a bowl. 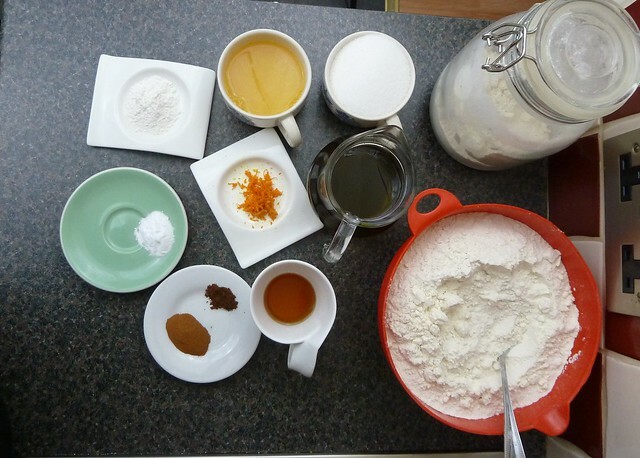 In another bowl mix the oil, sugar, cognac, orange zest, cinnamon and ground clove. 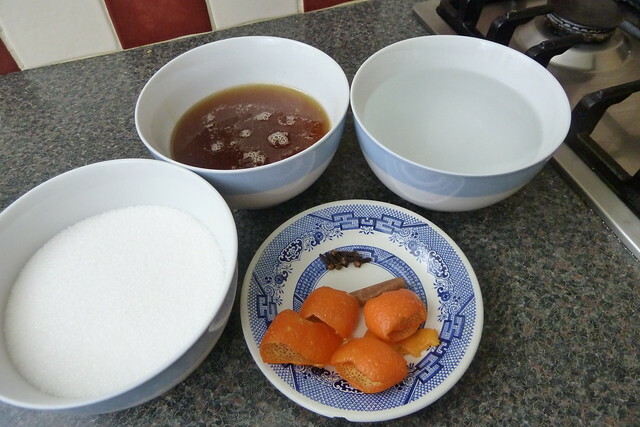 Stir the bicarbonate of soda in the orange juice until it foams and add to the bowl. Add half the flour and keep stirring. Keep adding slowly until you are close to 1 kilo and then check the dough. It should be easy to form into neat smooth balls. TIP! If the dough separates add more oil. If the dough is too squishy add more flour. Leave the dough to rest for about 5 minutes. 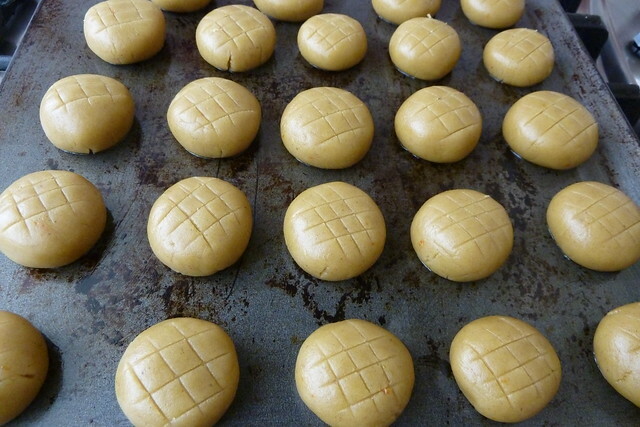 Oil your baking sheet and form into shapes. The traditional Greek shape is oblong with rounded edges. This could be a bit big so you might want to form into little balls and squish them a bit. See the video at this point where I am shaping the dough. TIP! Always gently slash the dough in x’s. Or roll on top of the strainer. This creates the characteristic top of the melomakarona AND ensures that the dough will ‘break’ along those lines when baking. Place in the oven for 20 minutes to 30 minutes on 180 degrees. When you take them out you should be able to gently push them in. 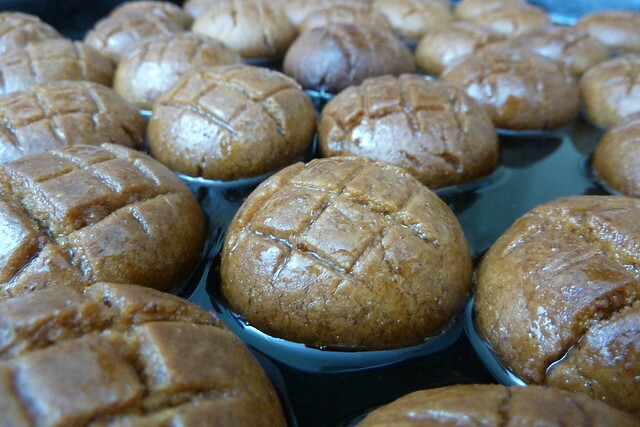 If they are too hard you’ve over-baked them. If they are too soft pop them back in. Take them out of the oven and leave them to cool completely. Do not mess about with this step (I have destroyed a batch and I know what I’m talking about). Start on the syrup. Put all the ingredients in a saucepan, keep stirring and simmer for 5 minutes. The honey will foam. Get rid of this foam with a big spoon, you don’t want it in there. 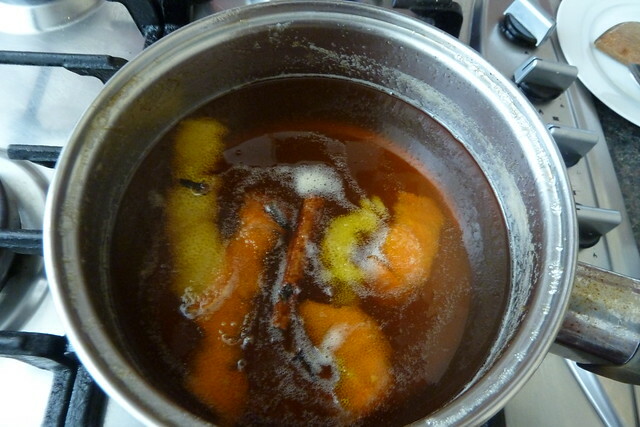 Take the orange peel, cloves and cinnamon stick out of the syrup and while it is boiling hot pour over the melomakarona. Let them swim for a minimum of 3 hours (overnight is best) and turn them over from time to time. When ready, mix your sprinkling ingredients. 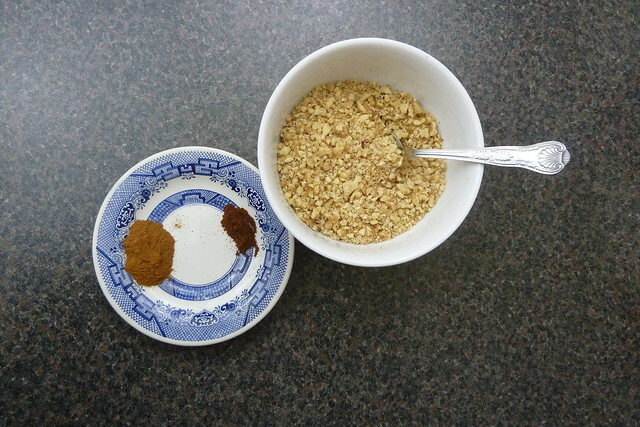 Place the melomakarona on a big plate and sprinkle. Place more melomakarona on top and sprinkle again. Repeat until you have a yummy mountain of melomakarona. 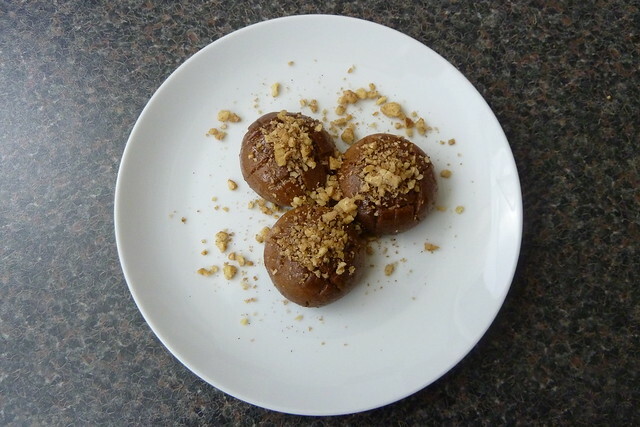 This entry was posted in Desserts, Katerina's recipes, PHOTO RECIPES and tagged Christmas, Honey cakes, melomakarona, walnuts by auntie Sofia. Bookmark the permalink.